LA County is in the process of revising its filming ordinance. The revision was requested by the Board of Supervisors in in May 2017. According to the County's Film Liaison, Gary Smith, "The goal of the revisions is to clarify language as it relates to enforcement of permit conditions, criteria used to approve permits, and other areas of the Code that will strengthen the County’s role in facilitating responsible filming." This could be the first major revision to the principal filming ordinance1 in nearly 30 years. The Town Council has recently posted correspondence between the Filming Committee and the LA County CEO about the new ordinance. In that exchange, the Committee raised issues about a letter signed by Jim Jones, the CEO's Chief Operation Officer. The Committee was concerned that this letter from the CEO might mislead the County officials who are drafting the new ordinance. The CEO's letter stated that law enforcement was required for any filming in Altadena. The committee was concerned that the authors of the new ordinance might misunderstand the CEO and conclude that the presence of a law officer was a sufficient to enforce permit conditions. The CEO's letter listed criteria used for evaluating and enforcing a filming permit. Those evaluation criteria included considerations of duration, proximity, frequency and "any other criteria relevant." The Committee noted that the criteria and methods used for permit approval and enforcement were not documented and subject to being inconsistent and unfair. Consequently, the committee was concerned that these listed criteria might be mistakenly perceived to be sufficient to address known permit violations. The CEO's letter stated that Community filming surveys are required when filming is requested beyond normal hours. 2 The Committee noted that Community members have raised numerous complaints that the surveys are perfunctory and unresponsive. The committee was concerned that these surveys may be mistakenly perceived as effective methods for assessing the concerns of nearby residents and businesses. The Committee's letter concluded with a request to meet with the CEO for the purpose of drafting a follow-on memo that would prevent possible misunderstandings from influencing the draft of the new ordinance. Gary Smith, the County's Film Liaison, responded to the Filming Committee. He pointed out that the CEO inputs were only intended to clarify current procedures. They were not recommendations. He went on to say that FilmL.A. responds to complaints in a "timely and constructive manner." He also clarified that law enforcement is not required for all filming and that Community surveys are always required when normal hours are exceeded or "the filming conditions might have detrimental impacts on the surrounding neighborhoods." A final note of special interest: According to Mr. Smith, the draft revision of the filming ordinance will be ready fpr public comment early next month. There are supposed to be public meetings. Perhaps there will be a meeting in Altadena. 2 Board policy 3.125 states the hours are 7a-10p. The Altadena Filming Committee completed its End of Year Report. Following the release of the report, the Town Council approved a motion to send it to County Supervisor Barger. The report is now available on the Altadena Town Council website. Click here to view or download. The report includes a summary of the committee's accomplishments, a listing of the undocumented policies and procedures that govern the approval and enforcement of filming permits, a summary of the inputs received from the community, an analysis of root causes for filming-related issues and set of recommendations for addressing these same issues. In summary, the committee reported there is general community support for location filming in Altadena. However, film shoots have become problematic when "permit conditions are violated [or] when neighbors are not respected." Both a lack of accountability and a lack of transparency were highlighted as root causes. The recommendations in the report were formulated to address these issues, "so as to improve the experience of location filming for the neighbors of location hosts and to maintain a film-friendly environment." It's worth remembering that, on May 2nd, the County Supervisors requested that LA County Counsel develop "recommended amendments to the County Code, as necessary, to ensure that County departments have the necessary enforcement authority to address violations of film permitting..."
It might just be the Altadena Filming Committee's End of Year Report arrived in time to provide inputs into LA County Counsel's recommended improvements to the County code. Did you attend the Altadena Town Meeting on Filming? Are you interested in seeing how the Film Committee documented the proceedings? If so... There's a couple bits of good news. You officially have too much time on your hands. The Filming Committee has posted meeting notes which are detailed enough to consume a respectable portion of your spare time. The Committee's meeting notes are now on the Town Website. Here'a link. The Altadena Filming Committee has recently released meeting notes from a session they held with a group of local film production professionals. The meeting notes are available on the Altadena Town Council web site. The meeting was held it this past December. It is one in a series of consultative meetings the Committee is holding to get a better understanding of how the County manages the film permitting process as well as capture the questions and concerns that Altadeneans have about filming in the community. What, if anything, might you suggest that would make Altadena a more popular filming location? What, if anything, might you suggest to production companies to that might encourage neighbors to welcome a film shoot? What, if anything, might you suggest, that would encourage film companies to patronize local businesses? How might the film industry avoid overuse of some locations? What, if anything, might you suggest to a community member who hosts film shoots? If there happens to be a legitimate problem like a violation of a permit condition, what actions would you suggest for a concerned community member? What are the most common problems caused by uncooperative neighbors? What remedies have you used in these cases? The responses of our local film professionas, as captured in the minutes, were quite candid. They explained why Altadena is a great place to work. They discussed a strong desire to make filming a positive experience. There was a genuine desire to be responsive to neighbor concerns in order to leave a welcoming neighborhood for the next shoot. They discussed the benefits and drawbacks for distributing payments as a means of obtaining neighborhood support. They expressed frustration at the negative impressions created by a crew that violates permit conditions like parking on area streets instead of at a base camp. The expressed concerns about the negative effects of overuse. They expressed frustration with the services provided by on-site law officers and pointed out how LA County enforcement compared unfavorably with LA City enforcement. They also offered constructive suggestions for addressing the concerns felt by some Altadeneans . On balance the views expressed by our local film pros were balanced and expressed a strong desire for creating a positive and fair filming environment in our community. Click here to see the full meeting notes. The Altadena Filming Committee convened a Town Hall Meeting this past week at the Altadena Community Center. Over hundred Altadeneans turned out to ask questions and express concerns to expert panel about filming in the community. The panel included a location manager and an experienced filming host as well as spokespersons from LA County services including FilmLA, LA County Sheriff, California Highway Patrol and the Department of the Public works. The meeting was also attended by representatives from Supervisor Barger's office. The Altadena Filming Committee Chairwoman, Anne Chomyn, convened the meeting. Each panelist then made a brief presentation describing their role in on-location film shoots. The panel presentations were followed by audience questions and an open-floor discussion. Some attendees expressed supportive views about the benefits of filming. Others raised concerns, some very challenging, about a number of topics including permit enforcement, parking, traffic control and overuse. The panelists did their best to field these questions and concerns. On occasion the panel's answers did not satisfy some in the audience and the exchange of ideas became heated. As a result, the better part of the meeting was devoted to concerns. It's likely that a number of views supportive of filming were not expressed. On balance the meeting was constructive. Several panelist made it clear that they had a better idea of concerns that Altadeneans have about filming in the community. The also encouraged anyone with a question or issue to contact them. The method for providing that contact information was not discussed. At the close of the meeting Chairwoman Chomyn, said the Altadena Filming Committee had obtained new information and that the committee will be discussing next steps. Do you have any suggestions, opinions, questions, or concerns about filming in Altadena? Here’s a chance to talk to the people who can answer your questions, address your concerns, and listen to your suggestions. The Altadena Filming Committee will be holding a TOWN HALL on Location Filming at 7 p.m. on Tuesday, February 28, at the Altadena Community Center. The panel will include representatives from FilmLA, the Department of Public Works, the Sheriff’s Department, and the California Highway Patrol. Also on the panel will be a Location Manager and a Location Host. There will be short talks and a Question and Answer period. Light refreshments will be served at 6:45 p.m. This past September, the Altadena Filming Committee met with representatives from the LA County Department of Public Works (DPW). 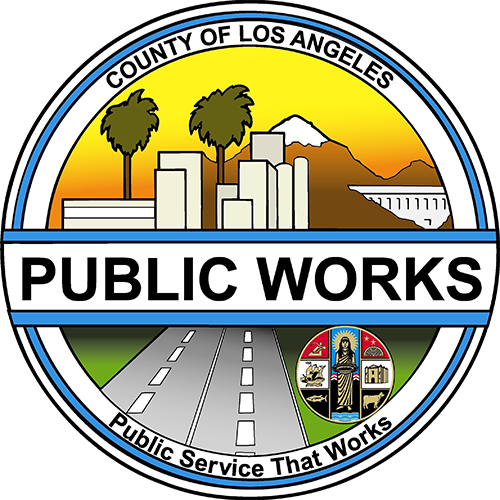 During that meeting, DPW representatives described the Department's policies used for setting the conditions for the filming permits issued by FilmLA. They also discussed efforts to improve enforcement of permitted filming conditions. Meeting minutes from that meeting have now been published to the Altadena Town Council Website. Click here to view the minutes . 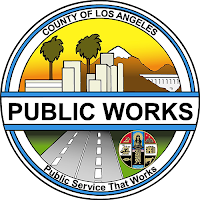 DPW is developing a standard set traffic management conditions for filming permits in Altadena and the rest of the LA County. DPW uses the Manual on Uniform Traffic Control Devices (MUTCD) as the basis for it traffic and parking policies. DPW is aware of special traffic concerns on busy thoroughfares like New York Drive and Altadena Drive. DPW is looking to establish policies that will alleviate future problems. DPW is initiating a policy of routinely posting 'no parking signs' on both sides of a neighborhood street for permits issues in Altadena. DPW is actively concerned about enforcement of permit conditions. DPW inspectors are visiting filming sites to ensure compliance with permitted filming condition. DPW is also working closely with the Altadena Sheriff. DPW is very concerned and actively interest in filming permit enforcement. DPW now provides a direct contact number to a senior DPW manager who will address permit enforcement issues. On a related note: The filming committee has started compiling a list of filming resources for Altadeneans looking for information about filming. The list is also available on the Town Council website. Here's a link. The Altadena Filming Committee has recently received a few questions from the community about film crew parking in Altadena. The committee chair has reached out to Jennifer Morelos of FilmL.A., Inc. for clarification. Here's what the Committee learned. Question: If film trucks take up the parking on one side of the street, can crew and cast parking take up the other side? FilmL.A., Inc.: Production companies are allowed to request posting (i.e. no parking signs) only for working production vehicles. For example a grip truck or a picture car. The approved parking will be documented on the permit. We do not allow cast and crew cars to be parked on area streets. The film permits for your area include the following condition: “No cast or crew parking on area streets”. Consequently, production companies must either park their crew cars and personal cars in an off-site parking lot, or inside the property that is hosting the shoot. AF: While the permit condition “No cast or crew parking on area streets” does appear on the filming permit, it does not typcially appear on the FilmLA doorhanger notification. However, the actual filming permit with all filming conditions is available to the public on request at the location. Question: Can production companies request and be approved for posting no parking signs on both sides of the street? FilmL.A., Inc.: We will not approve a request for posting both sides of the street if the purpose of that request is just for parking. However, we do allow posting on both sides for getting a specific picture or if there is a safety concern — for example, the road is narrow or winding or if there's a placement near hydrants or red curbs. But these are exceptions and require approval by the Roads Division in the LA County Department of Public Works. If parking on two sides of the street is permitted, it must be staggered so that the trucks do not directly face each other. These requests are rare. Question: If it appears that parking conditions are not met, what would you advise? FilmL.A., Inc.: Contact us. If there's a FilmLA Monitor on site, please call the violation to the Monitor's attention. In the unlikely event that the production does not comply with the conditions, we can ask on-site Law Officers help to ensure compliance. In the worst case, we can even withdraw the filming permit. Note: Jennifer Morelos of FilmLA, Inc. reviewed this posting and suggested changes. Any remaining errors were introduced by your poster, Kenny Meyer.